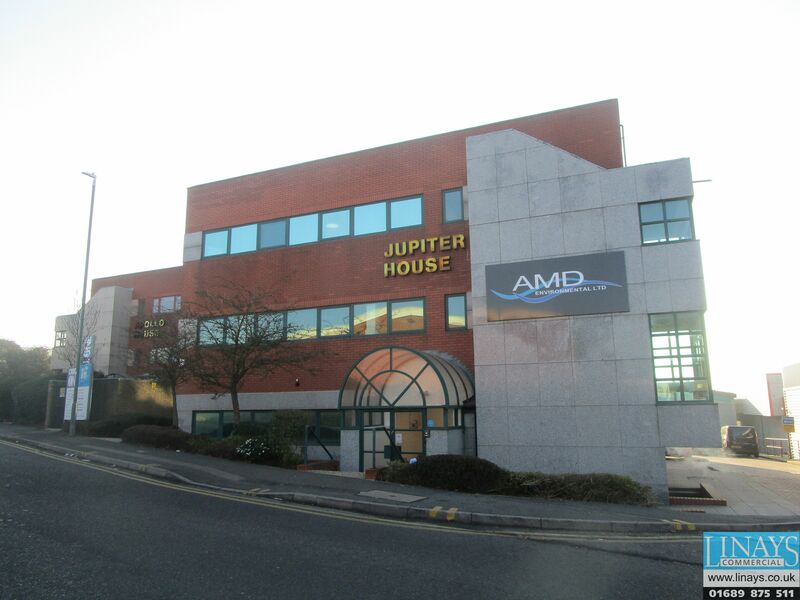 Jupiter House is a detached three-story building situated within an established business location. 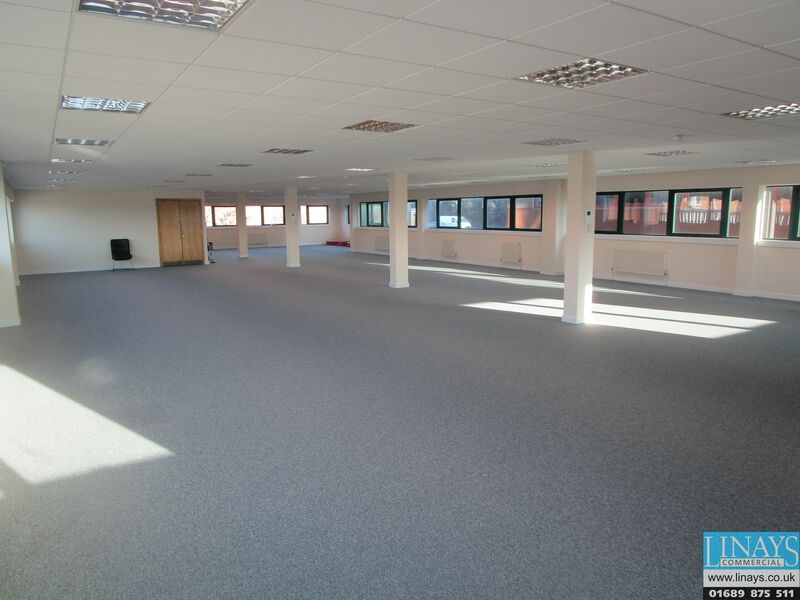 The available space is located at first floor level and currently arranged to provide an open plan working environment which could be easily adapted to suit an ingoing tenants chosen layout. Features include good levels of natural light through windows on all sides of the building, passenger lift to all floors, gas fired central heating, male and female WC’s, kitchenette, raised access floors, double glazing, suspended ceilings with integrated lighting and intercom system. Externally the property benefits from 10 allocated car parking spaces. Dartford is the principal town in the Borough of Dartford, Kent and is located 9 miles South-East of London and 10 miles to the East of Bromley. The town enjoys excellent road connections being less than a mile from the intersection of the A2 and M25 motorway. The Dartford Crossing is approx. 1 mile to the North. 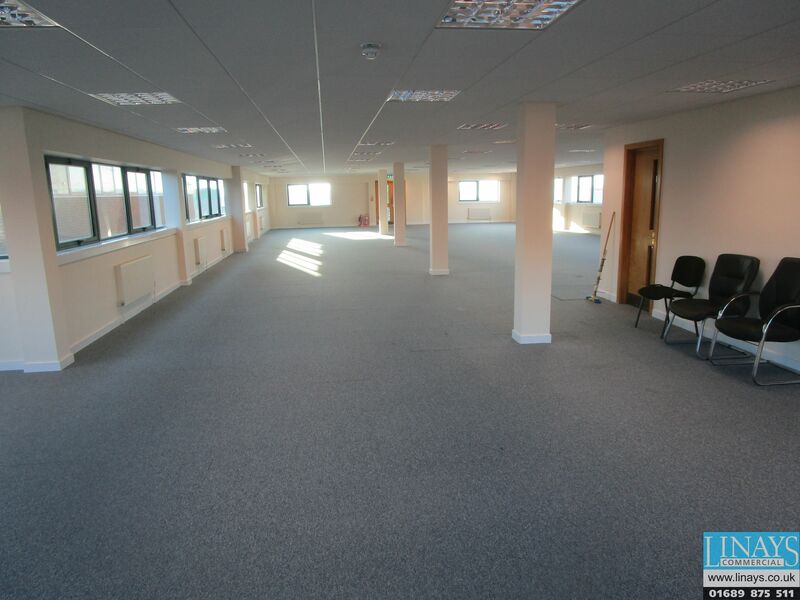 The building is situated approximately 1 mile from Dartford Town Centre and Railway Station. Bluewater Shopping Centre is approx. 3.5 miles to the east and Ebbsfleet International Railway Station is approximately 6 miles to the east. 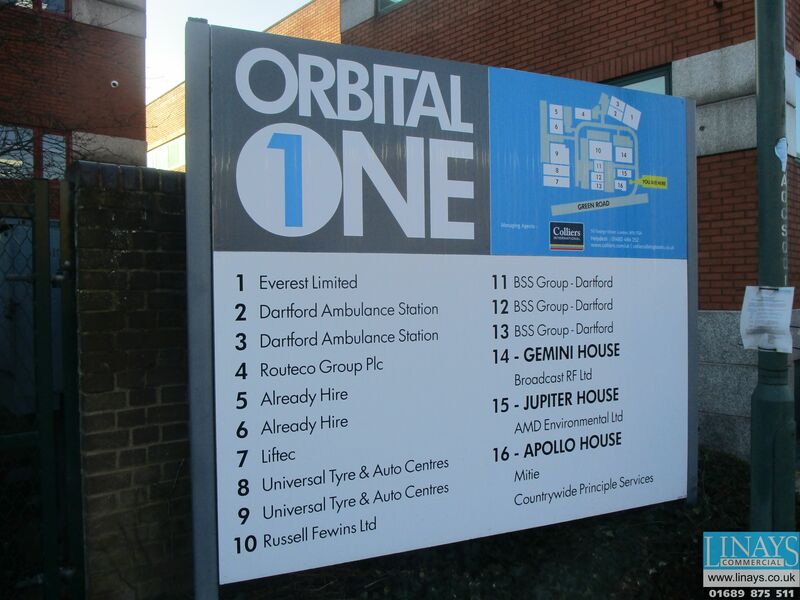 The offices are located at the entrance to the Orbital One Estate on Green Street Green Road accessed off Princes Road (A225). 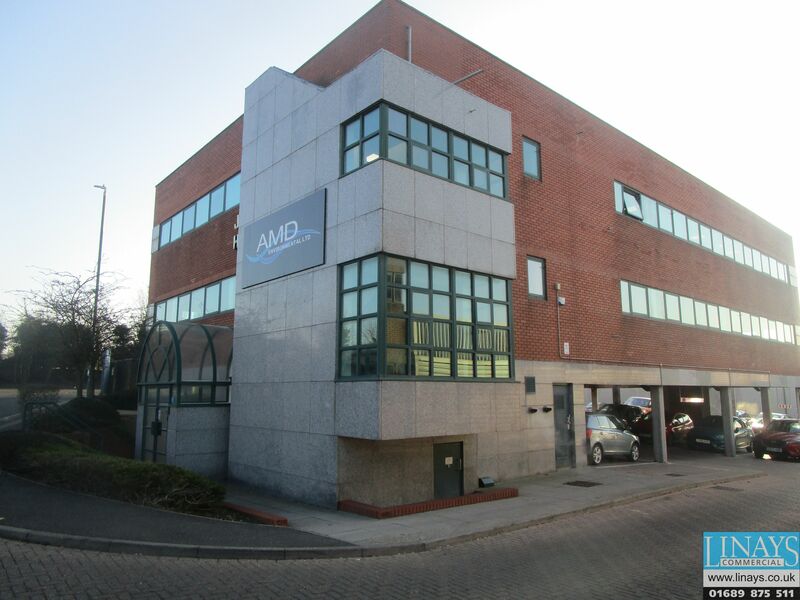 The premises are available to let on the basis of a new effectively full repairing and insuring lease for a term of years to be agreed at a commencing rent of £Upon Application per annum exclusive, payable quarterly in advance.